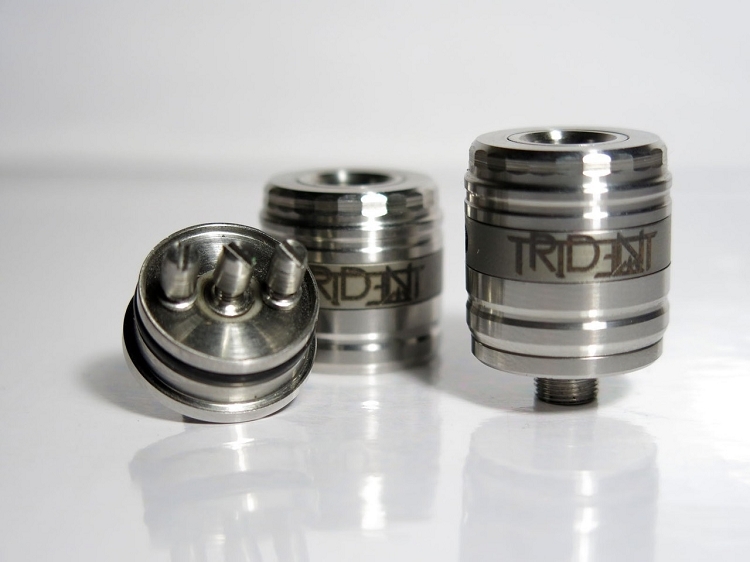 The Trident from EHPro is an excellent all-around Rebuildable Dripping Atomizer. 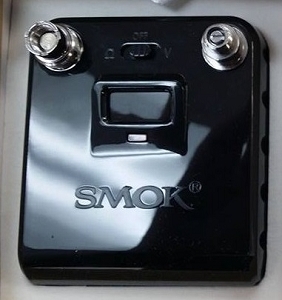 2 ground posts and 1 positive post allow you to build single or dual coils. 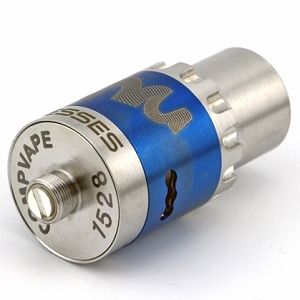 This RDA is a 4-piece design, allowing you to adjust the airflow to accommodate your vaping style. 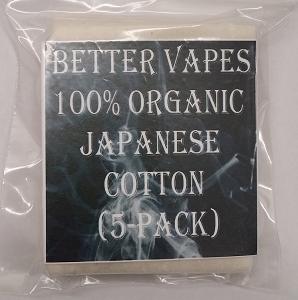 The smaller air holes are perfect for cigarette-style drags, while the larger holes allow you to take lung hits for massive clouds of vapor, without the need to drill out larger or additional holes. The difference between the Trident and the Trident V2 lies with how you adjust your airflow. 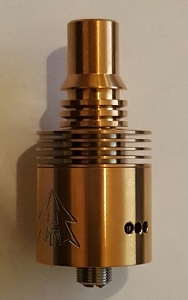 With the V2, the top of the cap screws down to keep your airflow in place. To select which airflow holes to use, just unscrew the top, slide off the ring, and remove the remainder of the top cap. Then, find the airholes you wish to use, line them up with the coil, and re-attach the bottom of the top cap. Next, slide the ring back on, aligning the holes in the ring with the airflow holes that you selected. Finally, screw the top part back on to keep everything in place and solid. 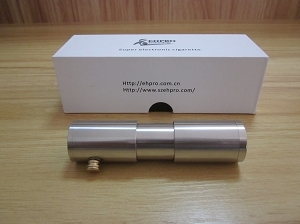 It's actually very simple, and the result is an RDA that feels like one solid piece. 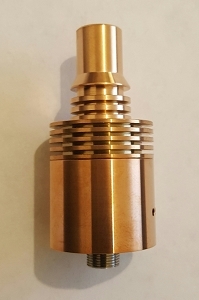 The Trident also has an adjustable copper positive connection for versatility and great conductivity. The top cap pieces are constructed of brushed stainless steel for durability. Whether you drip for better flavor, or you're a cloud-chaser, this RDA is sure to please.